The Masters Tournament. Tips and Preview 2014. Every golf fan around the World loves April as it is the time when we all get to sit back and enjoy the first Major of the year. The who’s who in Golf will descend upon Augusta National this week to take part in the 78th edition of this time honoured event. 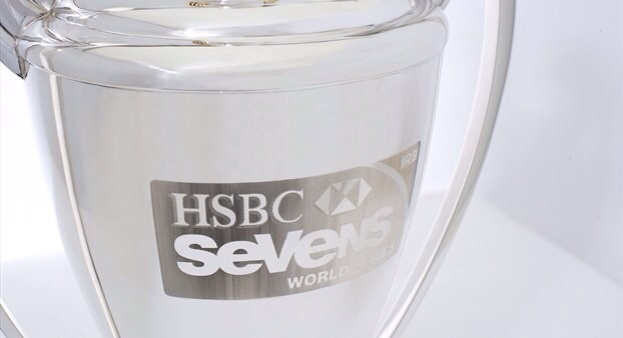 Many great legends of the game have played their part in the history of this great tournament. Names like Horton Smith who was the first Masters Champion back in 1934. He also won in 1936. Ben Hogan has 2 victories along with Tom Watson, Byron Nelson, Seve Ballesteros, Jose Maria Olazabal, Ben Crenshaw and Bernhard Langer. The Great Sam Snead has won three times. So to have Gary Player, Jimmy Demaret, Nick Faldo and Phil Mickelson. Arnold Palmer has won four Masters (1958,60,62.64) as well as Tiger Woods (1997,2001,02,05). Then there is the ‘The Golden Bear’ Jack Nicklaus who has won a remarkable six Masters Tournaments! (1963,65,66,72,75,86). Many believe this year is especially difficult to pick the winner. Look at the season so far and you will see the number of first time PGA Tour winners like Kevin Stadler, John Senden, Matt Every, Steven Bowditch and Matt Jones. Then you can add the young guns that have been tearing it apart like Harris English, Jimmy Walker, Russell Henley and Patrick Reed. You then have to worry about a few of the big names who have been dealing with niggling injuries like Jason Day, Dustin Johnson and Phil Mickelson. That is before you get to look at players like Sergio Garcia, Henrik Stenson, Justin Rose, Bubba Watson, Charl Schwartzel, Brandt Snedeker and Keegan Bradley who all have the talent to win and then you realize just how hard it is going to be to win the Green Jacket in 2014. With this much talent on display we can expect to see plenty of fantastic nail biting golf over the four days. The Bookies Top 5 in betting are- 9/1 Adam Scott, 10/1 Rory McIlroy, 14/1 Jason Day, 14/1 Phil Mickelson and 22/1 Sergio Garcia. Augusta National is considered a national treasure and is always listed in the Top 5 of everyone’s list of top courses in the world. They are always making changes to the course to keep up with technology. In 2001 the course was 6,925 yards and then lengthened to 7,270 yards. In 2006 it was lengthened again to 7,445 yards. The greens were originally Bermuda however they were also changed to Bentgrass in 1981, which resulted in a faster putting surface. So what does it take to win at Augusta National? Precise ball striking is a must. Greens in Regulation are what it is all about too. With the steeply contoured greens it is imperative that you hit the ball to the right area of the green to allow for an easier putt. If you fail to do this you can expect to have difficulty in getting it up and down. In fact 3 putts will not be out of the question. Being able to avoid the 3 putts is very important, as poor putters do not win Green Jackets. Length off the tee is important. The last six winners were all ranked inside the Top 60 in driving distance on the PGA Tour when they won. It is also worth noting that the fairways are mown away from the hole, resulting in less roll from the drive. Putting, putting and more putting. To play well at Augusta you need to tame the greens. They are some of the fastest in the world. The greens are undulating and are sure to cause issues for many players. Experience and Wisdom will also take you a long way at Augusta National. Not only experience on the course, but experience on the big stage, under pressure when it is all on the line. Winning a Major is not for the faint hearted. Just look at all the melt downs in Major history! I have selected three players who will give you a good run for your money, some at longer odds than others. Jason Dufner 40/1 win, 4/1 Top 10. Dufner is the perfect selection for those wanting to follow the Masters trends. You need a player who has plenty of Top 20 finishes in his lead up to the tournament. They usually have no missed cuts and have been solid and consistent. Plenty of analysts also point to the WGC Cadillac Championship as a good form guide as past Masters Champions have playing well at Doral. Jason falls into all these trends which are why he is our first man selected. His form this year reads as 5th, 29th, 65th, 9th, 9th and 14th so plenty of Top 20 finishes in there and no missed cuts. The WGC Cadillac Championship has given him results of 18th, 29th, 12th and 9th at his four starts. This will be his fourth start at The Masters where he has improved at each appearance being 30th in 2010, 24th in 2012 and 20th last year. That is some pretty impressive trending. Stats wise Dufner is ranked 17th in birdie average, 24th in all round rankings, 12th in Par 4 birdie or better average and 13th in Par 5 birdie or better average. In 20 starts in Majors he has won the 2013 PGA Championship and been placed in the Top 5 at four starts and in the Top 30 on another five occasions. Could it be time for Major number two? Come Sunday afternoon I expect to see him challenging for the title heading down the back nine. Patrick Reed 55/1 win, 5/1 Top 10, 13/2 Top Debutant. Patrick started the 2013 PGA Tour ranked No.584 in the World and missed eight cuts in his first 13 events. Then in August of that year he won the Wyndham Championship and finished the year with three Top 10’s. The 2014 season started with a bang as he finished the Hyundai Tournament of Champions in a tie for 16th and followed that up with a win at the Humana Challenge. Patrick Reed the All-American from Augusta State University was on the map and making a name for himself. He was now ranked No.41 in the World. Reed continued on his upward trajectory with more great displays of golf. 19th Phoenix Open, 13th AT&T Pebble Beach Pro Am, 17th WGC Accenture Match Play, 24th The Honda Classic and then it was a Win at the WGC Cadillac Championship. (A great Augusta trend). He was now No.20 in the World and telling everyone who would listen just how good he was. This kid is brash, outspoken, confident, self assured and has a huge opinion of himself. Tiger Woods is his idol and he loves to wear a red shirt on a Sunday just like him. According to reports on the internet he is coming off a 10 day minicamp with is coach, Kevin Kirk, where he has been shaping the ball from right-to-left off the tee and controlling the trajectory and spin on his approach shots. When asked about his chances this week at the press conference he replied, ‘I’m very confident’. It is easy to see why he has a huge ego and believes he is a Top 5 player in the World. In his short career to date he has already claimed a few firsts. He is the youngest winner of a WGC event and made PGA Tour history as the first player to start a tournament with three rounds with a score a 63 or better which he did when winning the Humana Challenge. Reed also became only the fifth golfer to win three PGA Tour events before they turned 24. The other four were Tiger Woods, Phil Mickleson, Rory McIlroy and Sergio Garcia. This will be Patrick’s first Masters Tournament. No one has won it at their first attempt since Fuzzy Zoeller in 1979. I am sure Patrick Reed knows this and will be out to prove he is the man to do it again. After all history was meant to be broken. Looking at his stats this week his game is ready for Augusta. 38th in driving distance, 40th in greens in regulation, 22nd in strokes gained putting, 7th in sand saves, 8th in all round ranking, 15th in Par 4 birdie or better average, 22nd in Par 5 birdie or better average and 2nd in FedEx Cup ranking. One thing is for certain when it comes to Patrick, he has the belief that he can win and sometimes that is what is required to get you over the line. Francesco Molinari 125/1 win, 8/1 Top 10. Francesco finds himself trending in the right Masters characteristics just like Jason Dufner. Five starts this year have resulted in 13th, 40th, 33rd, 25th and 5th. No missed cuts, plenty of Top 20’s and good consistence. He has had five starts at the WGC Cadillac Championship for 14th, 3rd, 13th, 28th and 25th. Again this is very positive. This will be his fifth start at the Masters. His past results have been 30th in 2010, Cut in 2011, 19th in 2012 and Cut last year. Two Top 30 finishes from four starts is nothing to be ashamed of at all. Molinari’s stats also put him in a good position this week. Just look at his last two starts to get the idea. Two starts ago he was 25th at the WGC Cadillac Championship where he was ranked 4th in greens in regulation, 37th in strokes gained putting and 13th in driving accuracy. Last start saw him finish 5th in the Arnold Palmer Invitational where he was 3rd in driving accuracy, 19th in greens in regulation, 36th in strokes gained putting and 23rd in putts per GIR. Good Luck and Good Punting. This entry was posted in Golf and tagged Augusta, Augusta National, Francesco Molinari, Golf, Jason Dufner, Masters, Patrick Reed, The Masters, Tiger Woods on April 8, 2014 by bradeveleigh. 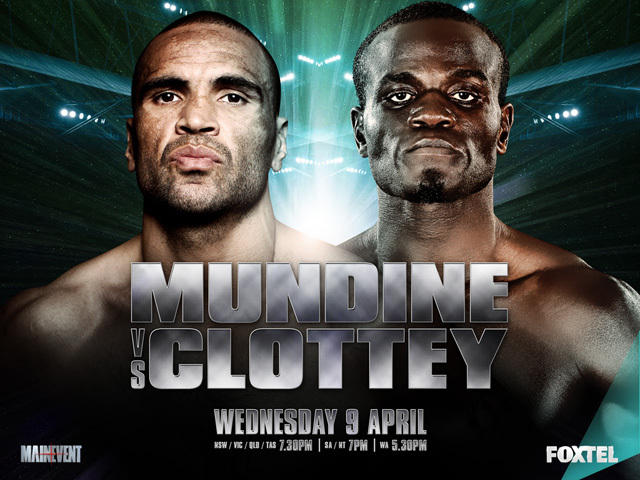 Anthony Mundine (46-5, 27KOs) continues his march towards a WBA title shot, as he takes on New York based Ghanaian Joshua Clottey (37-4, 22KOs) at the Newcastle Entertainment Centre tomorrow night on MainEvent PPV. Mundine, 38, has expressed interest in facing Cuba’s interim WBA champion Erislandy Lara, or a big money fight with WBA champion and pound for pound king Floyd Mayweather Jr.
With Mundine currently ranked #3 by the WBA, these matchups could begin to become a possibility, should he get past Clottey on Wednesday night. However, Clottey, 36, comes to Australia as a former IBF Welterweight champion, looking to put himself back into the mix of a world title fight after being inactive over the past 3 years. Although having fought just twice since 2010, once in 2011, then after a two year absence, in September of 2013, Clottey says he has never stopped training and insists he is ready. Clottey’s only 4 losses have come at the hands of world champions Carlos Baldomir, Antonio Margarito, Miguel Cotto and Manny Pacquiao and also holds notable wins over Diego Corrales and Zab Judah. The undercard features a stack of domestic talent and a mouthwatering semi main event between top Australian Cruiserweights Brad Pitt (15-0, 12Kos) and David Aloua (10-1, 7KOS), which many enthusiasts believe could steal the show. Pitt, a 2008 Olympic representative and former Australian title holder has been inactive of late, fighting just once since 2012. However, Pitt impressed in his February return with a stunning 1stround knockout on the Daniel Geale v Garth Wood undercard. Aloua, a New Zealand born Commonwealth Games representative has been impressive himself recently, scoring two stoppage victories since suffering his first career defeat to Australian Champion Daniel Ammann. 2012 Olympian Cameron ‘The Hammer’ Hammond (8-0 4KOs) and Renold Quinlan (7-0, 3KOs) were both set to feature, unfortunately their opponents have pulled out, reasons still to be confirmed. Replacement opponents are being worked on. Also on the card is New South Wales Light Middleweight champion Ahmed Dib (12-0, 7KOs) and Lightweight George Kambosos Jr (4-0, 2KOs) facing Thai opponents, and Super Middleweight Bilal Akkaway (9-0, 8KOs) against Brian Olman. This entry was posted in Boxing and tagged Antonio Margarito, Boxing, Brad Pitt, Carlos Baldomir, CLOTTEY, Diego Corrales, Erislandy Lara, Floyd Mayweather Jr, Ibf, IBF Welterweight, Joshua Clottey, MainEvent, MainEvent PPV, Manny Pacquiao, Miguel Cotto, MUNDINE, Newcastle Entertainment Centre, PPV, WBA, WBA champion, Zab Judah. on April 8, 2014 by bradeveleigh. 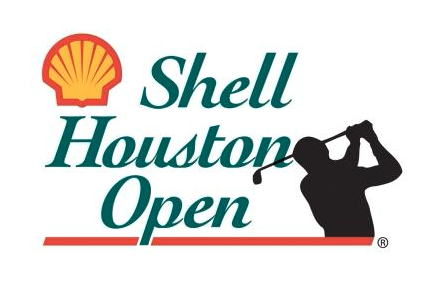 The Shell Houston Open is the last stop saloon for players wanting to make The Masters field for next week. The tournament is played at the Redstone Golf Club in Humble. This event was established in 1946 and has been played in and around the Houston area at several venues. It made its home at Redstone in 2003 where it was played on the Members course until it moved across the road to the Tournament course in 2006, where it has been played ever since. The inaugural event was won by Byron Nelson who defeated Ben Hogan by 2 shots. The winner received US$2,000. Other famous names to win have been Arnold Palmer, Gary Player, Bob Charles, Raymond Floyd and Payne Stewart. And more recently by Vijay Singh, Fred Couples, Adam Scott and Paul Casey. This week the event has a Purse of US$6.4 million with the winner taking home US$1,116,000. The Course is a Par 72, measuring 7,457 yards with 60 sand bunkers and 13 water hazards. Over the last 7 years the course has played at an average of -16 so expect much the same this week. Much like early events on the Tour this year look out for the Par 4, 488 yard 18th hole to cause a few problems for anyone that tries to go for glory. The whole left hand side of the hole runs along the side of a lake and players will try to carry that as much as possible. There is a lot of risk involved however the reward can be good. The second shot to the green is also a tricky one with water on the left side of the green and a bunker on the right. With the Masters being played next week several big name players have stayed at home to practise, however many others like to use Redstone as a good lead in to the event to fine tune their game. This week we will get to watch players of the calibre of Louis Oosthuizen, Phil Mickelson, Jordan Spieth, Hunter Mahan, Charl Schwartzel, Jimmy Walker and Luke Donald. The bookies Top 5 in betting are: 9/1 Rory McIlroy, 14/1 Dustin Johnson, 16/1 Henrik Stenson, 25/1 Keegan Bradley and 25/1 Sergio Garcia. Looking at past winners of this event we need to pay close attention to guys who hit a lot of greens. This stat stands out above the rest as one of the most important. We also need to look at good scramblers as they have always done well here. With four Par 5’s on the course look at players with good Par 5 records as well. Accuracy off the tee is not as important as Distance off the tee this week as a good scrambler can negate the rough. Taking these stats into consideration we have two players who should fair very well this week at Redstone. ‘Kuch’ has been one of our favourite golfers for some time now. We tipped him twice last year and he won both events. The WGC Accenture at 35/1 and Memorial Tournament at 20/1. It is great to see him this week at 25/1 as his game is in the right place to excel this week. Matt has had a great start to 2014 with four Top 10’s from seven starts. T6th Hyundai Tournament of Champions, T8th Sony Open, T9th WGC Accenture Match Play and T4th Valero Texas Open last week. This will be his fifth start at the Houston Open. In 2005 and 2007 he missed the Cut however he came back in 2010 and 2011 and finished 8th on both occasions. With excellent course form and current form it is brilliant to see Matt at 25/1 this week. That represents a confident each way selection. His stats also hold up well being ranked 17th in scoring average, 47th in driving accuracy and 15th in scrambling. Lets sit back and watch Matt win his third tournament for us! The man with the worlds worst haircut is luckily a very good golfer! While he may need help finding a decent hairdresser he certainly knows his way around the golf course. This year he has been putting together some great results. Seven starts has brought four Top 12 finishes. He is coming off a T11th at the Valero Texas Open and his stats of 16 in Driving Distance, 20th in Greens in Regulation, 18th in Birdie average, 27th in Scoring average and 18th in Ball Striking put him in a good position heading into the tournament. This will be Charley’s eighth start here and he has not missed a cut yet. Four of those were Top 25 finishes. This entry was posted in Golf and tagged Charley Hoffman, Houston, Houston Open, Humble, Matt Kuchar, Redstone, Redstone Golf Club, Shell Houston Golf Open, Shell Houston Open, The Masters, Valero Texas Open on April 1, 2014 by bradeveleigh. FC Bayern München have been crowned Champions of the German Bundesliga for the 24th time with a record 7 games to spare after a 3-1 victory over Hertha Berlin. Mathematically, Bayern could have ended the title race last Match Day however; a win by the distant 2nd placed Borussia Dortmund just delayed the invertible. An early goal to midfielder Toni Kroos from 14 yards set the tone and took the club to a European record equaling 64th consecutive goal-score game – tied with Barcelona. Mario Gotze extended the lead to 2 with a headed goal delivered by a cross from Bastian Schweinsteiger, which really sent the fans into a celebratory frenzy. Adrian Ramos reduced the deficit from the penalty spot for Hertha Berlin to create a sniff of a chance to upset the championship party, but a cheeky lob from the by-line from Franck Ribery in the 79th minute sealed the title. This was Bayern’s 52nd consecutive league game without defeat, which includes a record breaking 10 consecutive away matches. The previous record was 9 in which they set last season. Bayern set a solid platform early in the season to break the record for the fastest League Title by winning 25 of their first 27 games (the other 2 games were drawn). They sent shivers through the league as they knocked home 79 goals in that 27 game period. With the League now wrapped up they set their sights on next weeks Champions League Quarter-Final tie with English club Manchester United, who are surprisingly sitting mid-table in their respective League. This entry was posted in Football and tagged Bastian Schweinsteiger, Bayern, Borussia Dortmund, Bundesliga, Champions, Champions League, FC Bayern München, German Bundesliga, Germany, Hertha Berlin, München, Munich, Toni Kroos on March 26, 2014 by bradeveleigh. 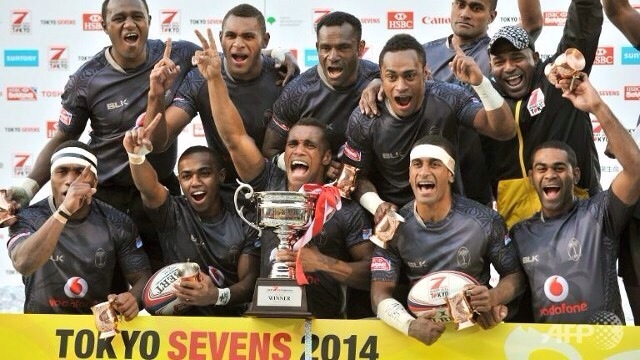 This entry was posted in Rugby Union, Uncategorized and tagged 7s rugby, Australia, England, Fiji, IRB, irb 7s, New Zealand, Rugby, Rugby Union, Scotland, sevens, south africa, tokyo 7s, Union, United States, wales, world rugby, world rugby 7s, world rugby sevens on March 24, 2014 by bradeveleigh. 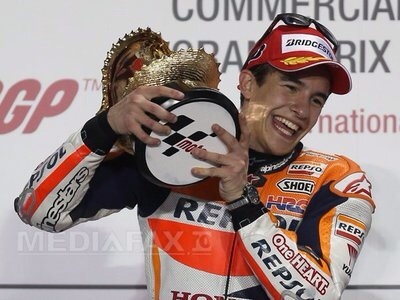 Reigning World MotoGP Champion Marc Marquez has opened his 2014 account with a first place finish on the opening round of the 2014 MotoGP season in Qatar. The 21-year-old started from Pole Position and claimed the top spot of the podium after a thrilling battle with his Italian rival, Valentino Rossi, who had to settle for second spot. Marquez had his work cut out for him on the penultimate lap as he was forced to strangle his Repsol Honda to the limits, regaining the lead on two occasions from Rossi and done so with a fractured right Fibula. His Repsol Honda team mate and fellow Spaniard, Dani Pedrosa, claimed the third step on the podium after a battle with Alvaro Bautista who crashes out with only two laps to go. Championship contended and 2012 World Champion, Jorge Lorenzo, crashed out in the very early stages after briefly leading the race. Moto2: 1 – Esteve Rabat (ESP). 2 – Mika Kallio (FIN) 3 – Thomas Luthi (SWI). *Takaaki Nakagami finished second but was disqualified due to a breach of Technical Regulations. Team appeal was rejected. This entry was posted in Motor Sport, Uncategorized and tagged Ducati, Honda, lorenzo, marc, Marc Márquez, Marquez, MotoGP, pedrosa, qatar gp, Repsol Honda, Rossi, Valentino Rossi, Yamaha on March 24, 2014 by bradeveleigh. Jeff Horn kept his undefeated record alive and asserted himself as the country’s top Welterweight with a strong performance over Rivan Cesaire at Gold Coast’s Jupiter’s Hotel and Casino on Wednesday night. Horn began the rematch looking much improved from their August 2013 match. He landed with strong, powerful jabs, one which even put Cesaire on the deck in the opening round. After two rounds the 26 year old former Olympian seemed to have Cesaire’s measure. Cameroon born Cesaire would begin to find success with slick counters as Horn moved in, but it was obvious he lacked the power to trouble Horn, who continued to walk straight through with relentless pressure and work rate. Approaching the 7th round, somewhere Horn has previously never been, he was well ahead on the scorecards and looked as though the distance would not affect him. In the 9th round of the scheduled 12, Cesaire collapsed to the canvas with a suspected shoulder dislocation. The ref counted Cesaire out and signalled the end of the contest. The TKO victory gives Horn the WBO Oriental title and his record improves to 7-0-1, 6KOs. The Fox Sports undercard seen Heavyweight Bowie Tupou score a 6th round TKO victory over American Nick Guivas. Tupou having just his 2nd fight in Australia since returning from a long stint in the United States was in complete control through the duration of the bout without exerting maximum effort. The giant 123kg Tupou cruised through the opening rounds, putting Guivas on the mat in the 3rd round. The 5th round would see the American once again crumble to the canvas after a thunderous body shot. Tupou, who was on his final warning for low blows, then landed another shot to the body which folded Guivas in half. Referee Phil Austin deemed this one to be below the belt and deducted a point from Tupou. The 6th seen Guivas go down again, he was able to answer the count, but after a Tupou combination connected shortly after, referee had seen enough and stopped the contest. Tupou improves to 24-3, 17KOs. Damien Hooper improves his record to 7-0, but has been given the toughest test of his young career, going the distance for the first time in a 6 round bout against Korean Young-Don Um. After 2 rounds, spectators thought the Korean was a lamb waiting to get slaughtered as Hooper stalked and picked him apart. The 3rdround would however see Um shock everybody, most of all Hooper. He landed a punch that knocked the mouthpiece out and seemed to daze the Olympic representative. From round 3 onwards, Hooper seemed intent on brawling with the Korean. While he possessed superior attack, landing shot after shot to his opponent, defensively the 22 year old was able to be caught by southpaw Um. Um showed great ability to absorb punishment while continuing his own attack, this along with his showmanship had the crowd applauding a very entertaining fight. Scorecards showed Hooper was well on top throughout the contest, reading 59-55, 59-55, 60-54. He however ended the fight with cuts above both eyes and was taken immediately to hospital where he received 6 stitches. In another 6 round matchup, Mark Ramirez was looking to claim a victory on his 32nd birthday, young gun Matt Casboult, 20, had different ideas. Casboult showed plenty of skill on his way to outpointing the more experienced Ramirez. Scorecards read 59-55, 58-56, 60-54. Caboult moves to 4-0, 1KO. In the opening fight, Heavyweights James Porter and Marco Monarco went head to head for 4 rounds. Porter claimed a majority decision victory with scores of 39-37, 38-38, 39-37. This entry was posted in More Sport on March 20, 2014 by karenunchained.